After the excitement of the harvest, when the vines are dormant and the wines are tucked into their cellars, there is still much work to be done in the vineyard. This quiet season is when the vines are pruned. While lacking the anxious excitement of watching the fruit ripen in summer, or the heady adrenaline rush of harvest in the autumn, pruning the vines in winter is the necessary foundation for the season to come and a key part of making quality wine. Grapes only grow from shoots on one-year-old canes. To ensure fruit production, healthy new canes must be produced every year. 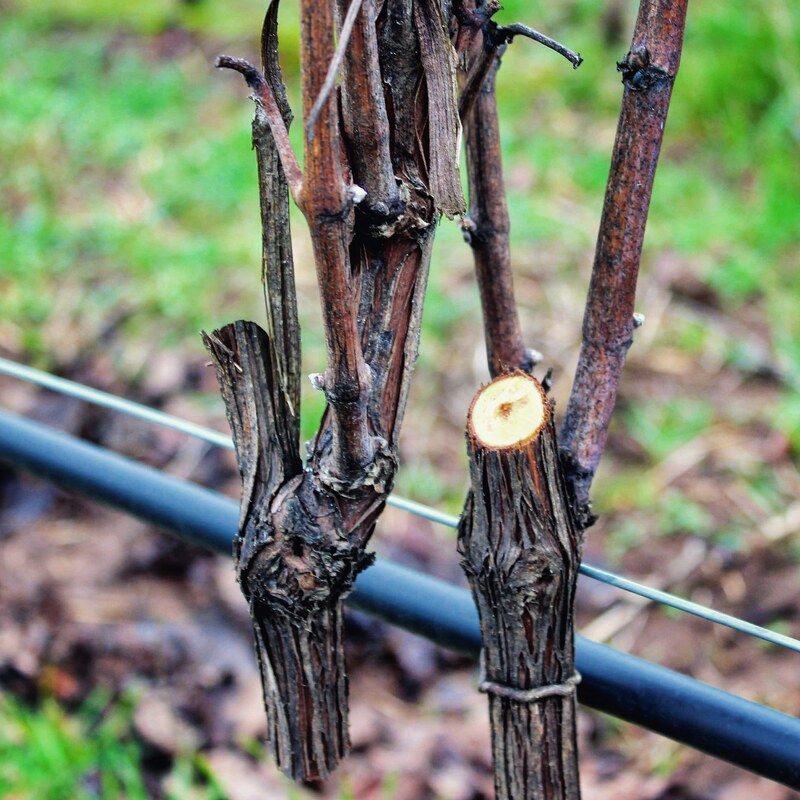 Old canes from previous years’ growth are cut away, and the remaining canes cut back and tied to maintain optimal vine spacing. 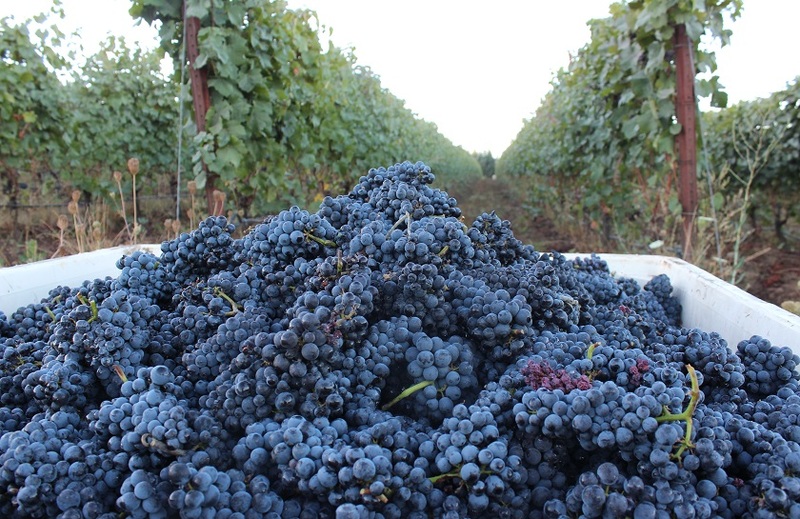 “Well-pruned vines, through the wisdom and knowledge of a great vineyard manager, balance what they can produce with what a site can provide, creating the best possible fruit from each vineyard,” says JP Pierce, Associate Winemaker at Ponzi Vineyards. 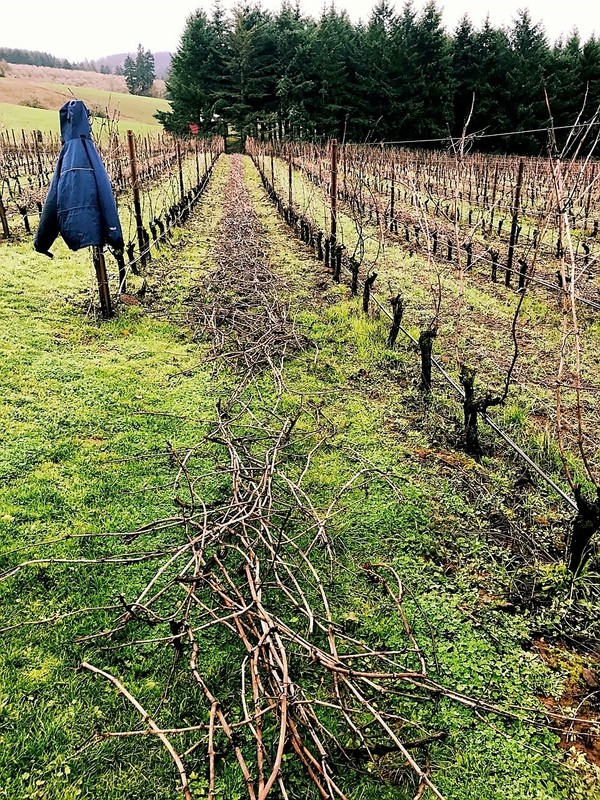 So while pruning and tying down the canes may not be as social media-worthy as ripening fruit clusters, it’s easily the most important part of maintaining vineyard health and producing great wine. That, in a very real way, is a beautiful thing. 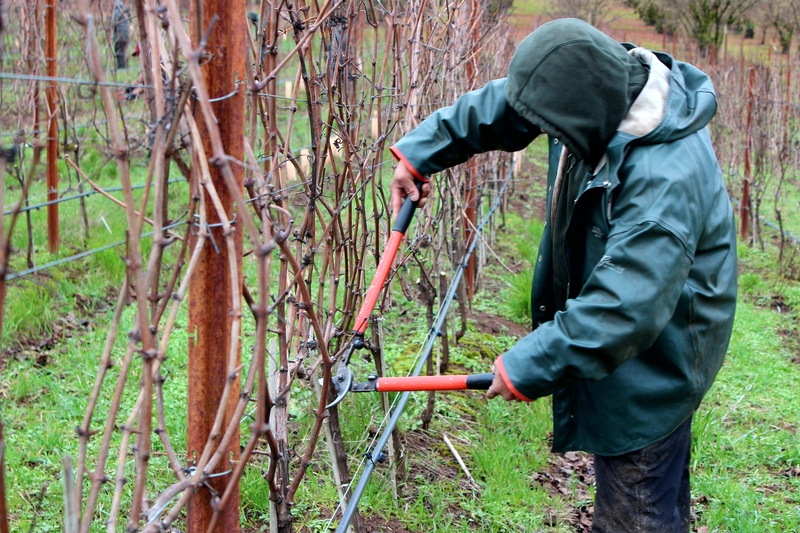 The pruning crew at Ponzi Vineyards moves surprisingly quickly down the rows, the steady snip of their shears keeping quick time. The snipped canes are pulled and laid on the ground in alternating fashion between the rows. They’ll be mulched where they lay, to be reincorporated into the soil. This process is relatively quick, and once completed the vineyard crew does another, more-detailed pass through every block. Every cane is tied down and trimmed again so each has about ten growth nodes. It’s a process that takes two months in cold, unpleasant weather. This year, however, Oregon is experiencing a rather warm winter, with some days even getting above 50 degrees. 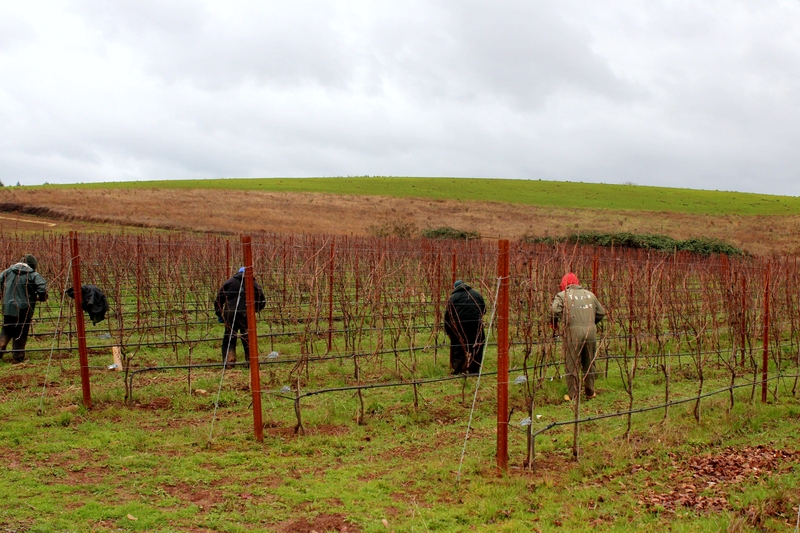 The vineyard crew is racing the clock to complete pruning before the buds begin to swell and push out, which will begin sometime in March. Luckily, we have a great team working in the vineyard, and we know we have a healthy growing season ahead of us thanks to their efforts today. The sparkling 2017 wines have been bottled and tucked away for a long rest in the cellar. The process is just shy of magical, beginning with Andrew Davis of Radiant Sparkling Wine Company pulling up to our gravity-flow winery in Sherwood, Oregon, with his bottling trailer. The rosé has already completed its first fermentation and inside Davis’ trailer is everything needed to get it started on its second fermentation. Clean bottles are loaded onto a belt on one end of the trailer. They are then filled with the rosé and the Liqueur de Tirage, a combination of yeast and sugar that kick starts the second fermentation. During this second fermentation, the alcohol level will increase slightly and the bubbles we all love so much will develop. 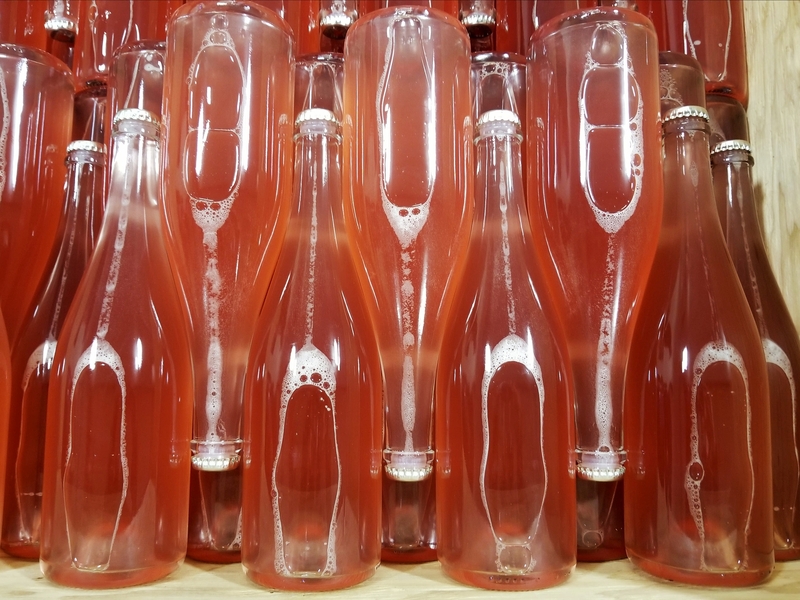 The bottles are tightly capped and emerge at the other end of the trailer, where they are removed and stacked neatly in large crates. They’ll ferment inside these crates for the next 4-5 years. Fun fact: Davis’ bottling trailer pushes out about 4 bottles every 20 seconds. That's a lot of wine! What’s next for these bottles? The yeast will eventually consume all the sugar and die. It settles like sediment in the bottle. Such expended yeast is referred to as the lees. The lees impart a pleasing texture and can contribute to flavor, however they don’t look particularly nice in the bottle, clouding the beautiful color of the wine. The next stage, riddling, gets the yeast out of the liquid and clarifies the wine. 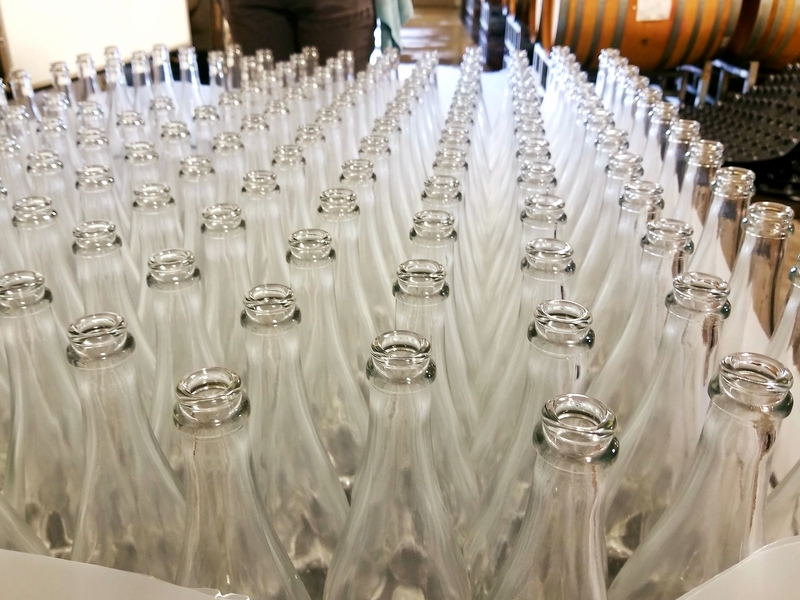 The bottles are slowly rotated during the riddling stage so that the lees settle in the neck. Once all the particulates are settled, the neck is submerged in a freezing liquid and the lees freeze into a solid piece. The cap is removed and the pressure inside the bottle causes the frozen lees to push out of the bottle (or be pulled out). The last step, dosage, adds a mixture of wine and sugar to fill out the bottles. They are then corked, wired, labelled, and are ready to go. Our pretty pink babies are just settling in for their long nap in the cellar, where they’ll be carefully monitored by Luisa Ponzi and the winery crew. They have a long way to go—sparkling wines require more direct handling than still wines—but when it’s time to pop the cork and raise a glass, the result is definitely worth it. If you just can't wait to get your hands on some rosé, the 2017 Ponzi Rosé will be releasing in early February 2018, and the 2014 Sparkling Brut Rosé will be released in April 2018 to celebrate the opening of The Founder's Room, our new hospitality space. Follow us on Facebook so you don't miss these exciting new wines! Spring 2016 was warm in Oregon and the flowers came early. Summer rolled smoothly across the Chehalem Mountains of the Northern Willamette Valley, with beautiful, moderate temperatures all season long. These pleasant days stretched into a mellow, easy autumn. The result: an early harvest of perfect fruit bursting with intense flavor. 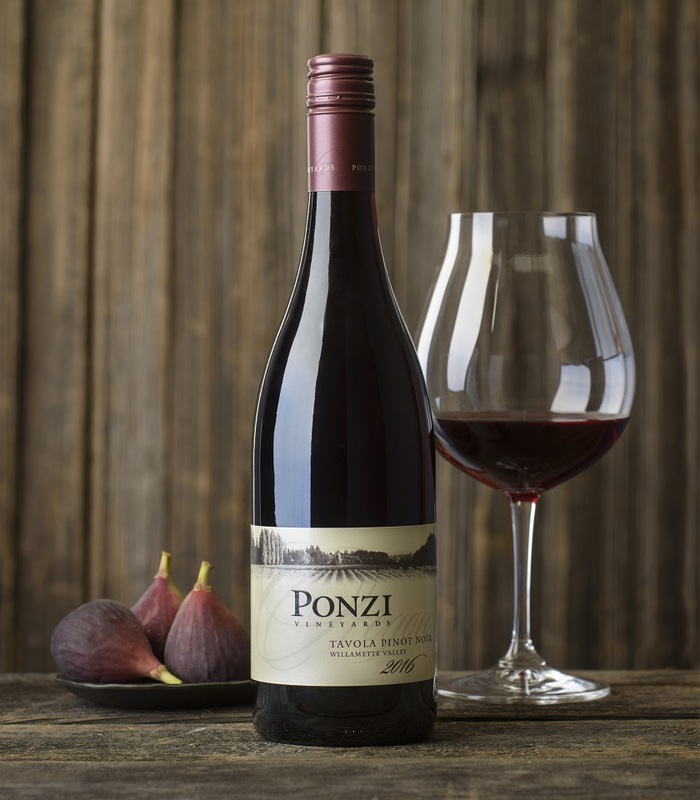 We are delighted to present the 2016 Ponzi Tavola Pinot Noir. 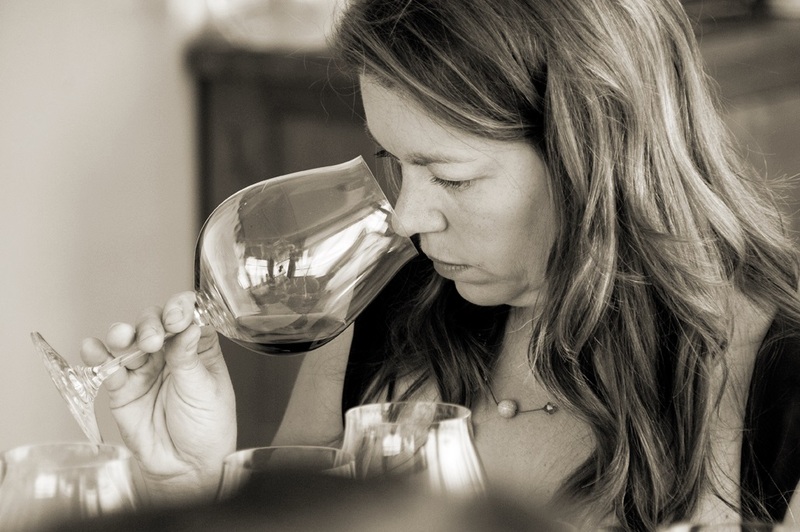 Masterfully crafted by winemaker Luisa Ponzi, the unique, high-quality grapes of the 2016 season produced a complex, well-balance wine. Fruit, acidity, and tannin are present in fine equilibrium. Small berry size resulted in rich aromatics and concentrated flavors. Enjoy this lush, sophisticated Pinot noir today, or put bottles away to age gracefully—we expect greatness from this vintage. Tavola is Italian for “table” and we encourage you to enjoy the 2016 Ponzi Tavola Pinot Noir with friends and family. Perfect for gatherings both cozy and large, this wine is a key component in any hospitality toolkit. Serve in Riedel glassware created specifically for Oregon Pinot noirs to add that special touch. We are so pleased to offer this exceptional Pinot noir to you at an affordable price. Cheers! Ponzi Vineyards has been creating world-class wines for nearly 50 years. Located just 15 miles southwest of Portland, Oregon, Ponzi Vineyards is a second-generation winery run by sisters Luisa and Maria Ponzi.